The two flight shots below are a Common Hawker near Minions, Cornwall and a Black-tailed Skimmer at Breney Common. 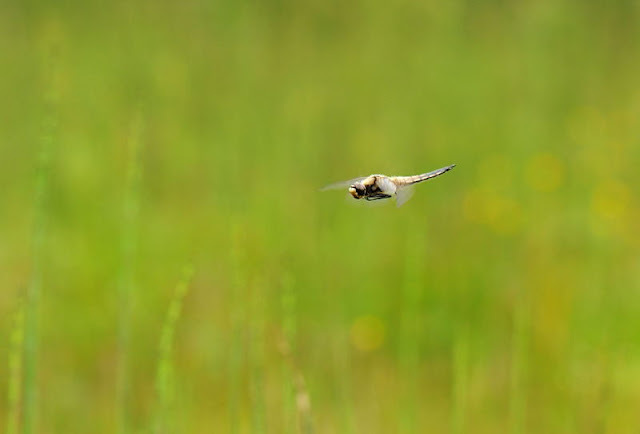 The hawker was taken by Kate Jones last weekend and the skimmer shot was taken in July by myself. 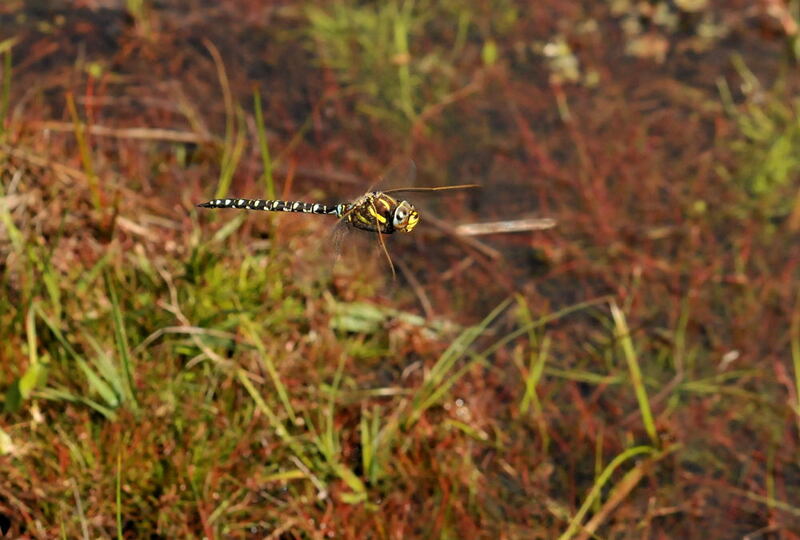 To capture a dragonfly flight shot is difficult and mostly relies on a good deal of luck! With some perserverance and a high shutter speed, it is possible to get some acceptable shots. The above shot was auto focus and the skimmer was set to manual focus. I simply waited for the insect to enter the focus area. Great shots, when I captured these on camera I did a double D...............download and then delete. I know how difficult this is after trying Hoverflies in flight. Congrats to both Kate and yourself.